This K-3 guided reading program includes carefully leveled books specifically designed to help students learn and practice the skills appropriate for each stage of reading development. 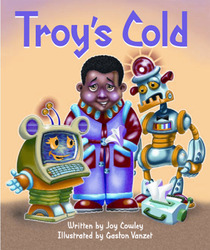 Troy isn't feeling well. How can Me2 and Can-Do help him get better?